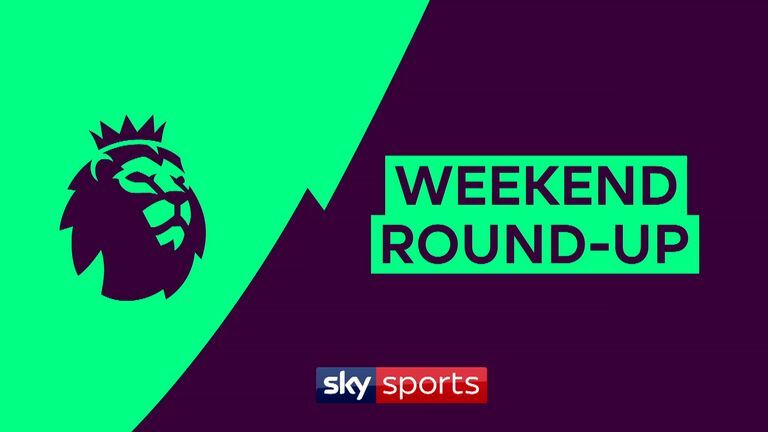 Watch Premier League goals and highlights from the weekend's games, including wins for Watford, Man Utd and Arsenal. 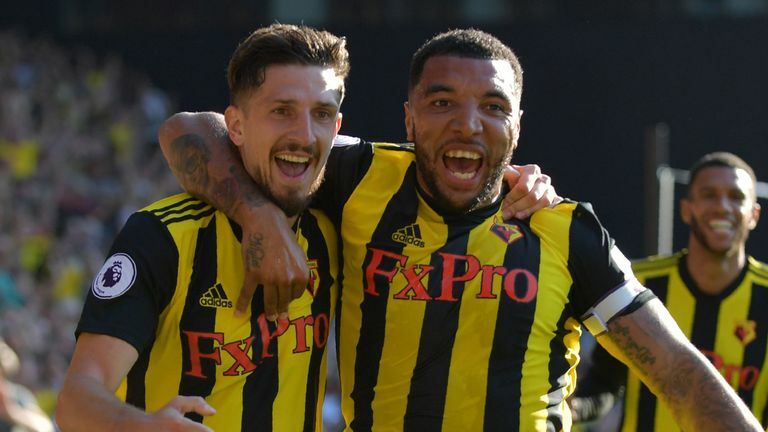 Watford came from behind to maintain their 100 per cent start to the season as two quick-fire headers gave them a 2-1 win over Tottenham at Vicarage Road on Super Sunday. 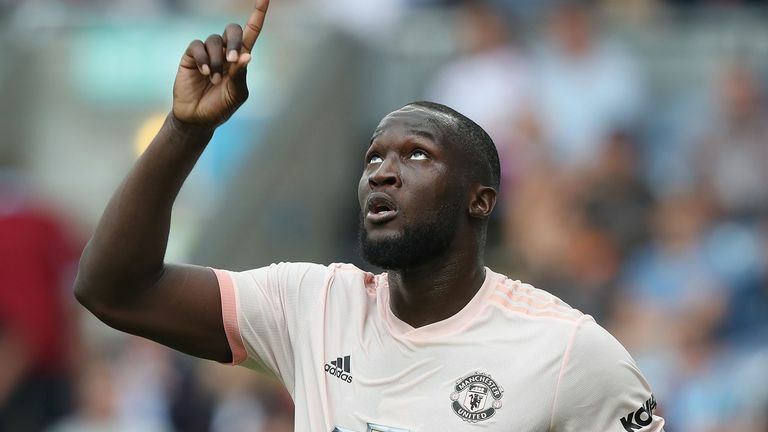 Romelu Lukaku scored twice as 10-man Manchester United returned to winning ways with a 2-0 victory over Burnley at Turf Moor. 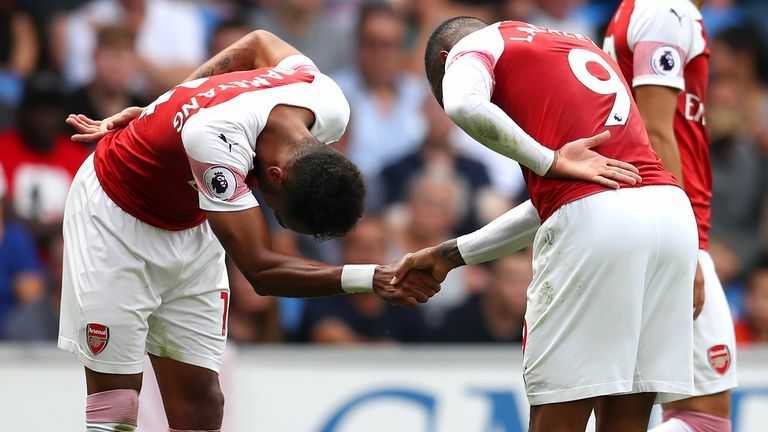 Alexandre Lacazette's 81st-minute winner saw Arsenal edge out a spirited Cardiff side 3-2 for Unai Emery's first away victory as head coach. Liverpool overcame a terrible mistake by Alisson to beat Leicester City 2-1 on Saturday and maintain their perfect start to the Premier League season. Brighton came from two goals down to draw 2-2 with Fulham thanks to Glenn Murray's double in an entertaining encounter at the Amex Stadium. Chelsea continued their perfect start to the season with a hard-fought 2-0 victory over Bournemouth at Stamford Bridge on Saturday. Second-half strikes from Danny Ings and Pierre-Emile Hojbjerg gave Southampton their first win of the Premier League season after they beat Crystal Palace 2-0 at Selhurst Park. Huddersfield showed their fighting spirit as they earned a deserved point in a 1-1 draw against substandard Everton at Goodison Park. Substitute Adama Traore's injury-time strike inflicted a fourth straight Premier League defeat on West Ham as Wolves secured a 1-0 victory at the London Stadium. Kyle Walker's stunning maiden goal for Manchester City helped the champions overcome an improved Newcastle United 2-1 on Saturday.